Another view of the State Route 26 Bridge across the North Fork of the Mokelumne River. In the photo we can see that the center span is a T girder and the approach spans are slabs. It looks like they barely kept the two column bents out of the swiftly flowing river. Short walls between the columns guide the flow away from the piers. 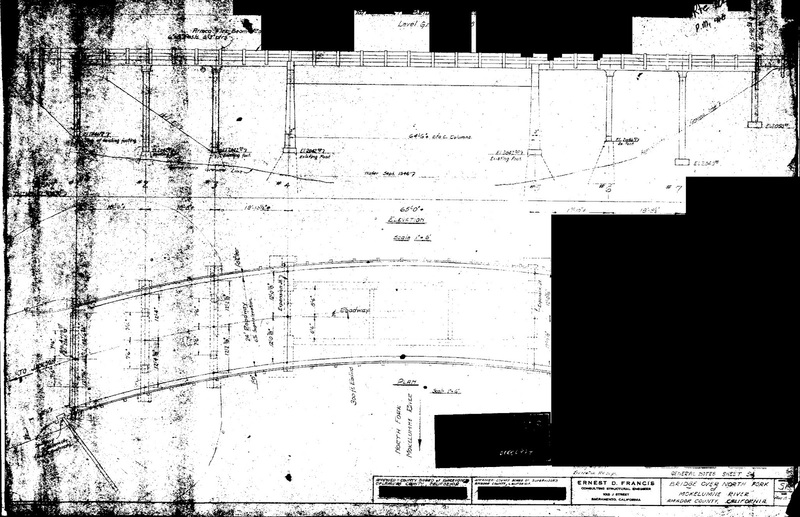 I obtained the plans for this bridge, but they were hard to read. I had to invert white to black in Photoshop in order to see the drawing, which looks just like the photo. 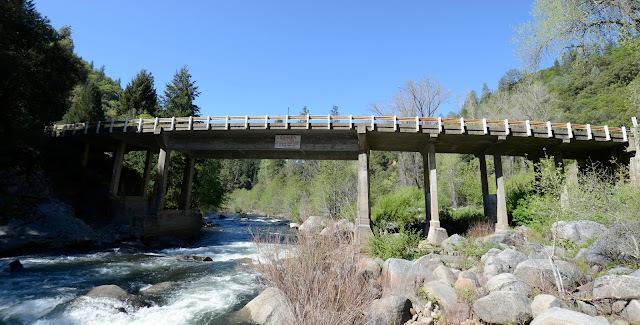 Amador County, California Bridges: State Route 26 Bridge across the N. Fk of the Mokelumne River (2) by Mark Yashinsky is licensed under a Creative Commons Attribution-NonCommercial-ShareAlike 3.0 United States License.